Home is the place you get to, not the place you came from. I leaned over the bed and took him in my arms. I held him as tenderly as I could. I held him and told him again and again. I held him until his mother arrived. Then I put him in her arms. It drives me crazy who quickly the great ones get canonized. ‘Blah-blah-blah is such a terrible loss.’ Does that mean that the death of one mediocre slob is not as terrible? Do fags have to be geniuses to justify living? Love’s poison, I’ve noticed, has a way of lingering in the body even years after love itself has withdrawn its fangs. I thought that never had a group been placed on such a rapid cycle—oppressed in the fifties, freed in the sixties, exalted in the seventies and wiped out in the eighties. Being scared is not the same as being convinced. Fear still has the room to maneuver, and every wave of its energy goes into pushing the terrible thing away, like the ocean leaving a body on the sand. I no longer think of AIDS as a solvent, but perhaps rather as a kind of intensifier, something which makes things more firmly, deeply themselves. Is this true of all terminal illness, that it intensifies the degree of what already is? Watching Wally, watching friends who were either sick themselves or giving care to those who were, I saw that they simply became more generous or terrified, more cranky or afraid, more doubtful or more trusting, more contemplative or more in flight. 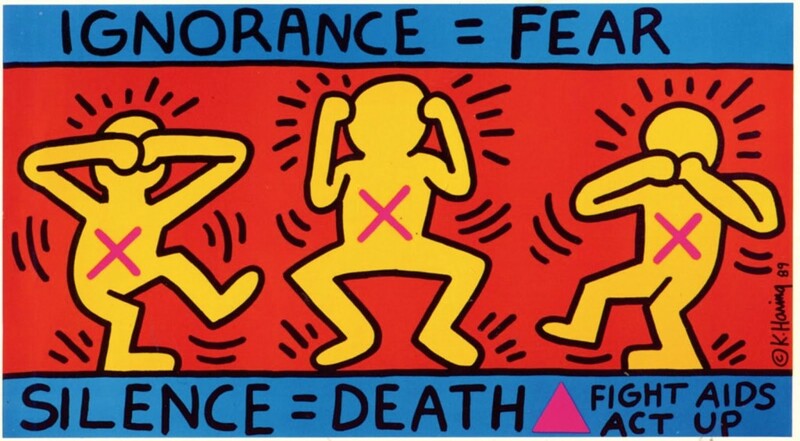 As individual and unpredictable as this illness seems to be, the one thing I found I could say with certainty was this: AIDS makes things more intensely what they already are. The patient lies in the ICU, and you charge in gabbing about the weather, which you have brought into the room: you shake the rain from your hair, or the cold air reddens your cheeks and clings to your coat, or sweat beads on your upper lip and dampens the hair on your temples. You draw the patient’s attention to the view from the window, the time of day: the sun, the moon, the clouds. Your vigor, your life outside, is an affront. It’s utterly frivolous, the world and its stupid times. Here in the hospital is the real thing. Eternity. People are born and they just can’t go on and on, but it is so hard, so hard for the people left behind; it’s so hard to see them go, as if it had never happened before, and so hard it could not happen to anyone else, no one but you could survive this kind of loss, seeing someone go, seeing them leave you behind; you don’t want to go with them, you only don’t want them to go. by means of our acknowledgement. at the top of the stairs, forgetting things. your red, my blue, and the casualties are real. I’ve lived through such terrible times and there are people who live through much worse. But you see them living anyway. […] Death usually has to take life away. I don’t know if that’s just the animal. I don’t know if it’s not braver to die, but I recognize the habit; the addiction to being alive. So we live past hope. If I can find hope anywhere, that’s it, that’s the best I can do. It’s so much not enough. It’s so inadequate. But still, bless me anyway. I want more life. Trailer here - don’t watch without a million tissues on standby. Seriously. The gay plague got covered only because it finally had struck people who counted, people who were not homosexuals. Living with AIDS is like living through a war which is happening only for those people who happen to be in the trenches. Every time a shell explodes, you look around and you discover that you’ve lost more of your friends, but nobody else notices. It isn’t happening to them. They’re walking the streets as though we weren’t living through some sort of nightmare. And only you can hear the screams of the people who are dying and their cries for help. No one else seems to be noticing. Illness is the night-side of life, a more onerous citizenship. Everyone who is born holds dual citizenship, in the kingdom of the well and the kingdom of the sick. Although we prefer to use only the good passport, sooner or later each of us is obliged, at least for a spell, to identify ourselves as citizens of that other place. What’s so damn funny about a pandemic devastating the world? Well, we have it and sometimes we find it amusing. Besides, who wants to be serious all the time, even about fatal illness? So what we’re hoping to do here is bring some much-needed levity to the experience of HIV infection. Hi Yara! This is a great list. Did you also get to read some of Eve Kosofsky Sedgwick’s work while working on your thesis? If you haven’t, you definitely should. Not only was her work fundamental for establishing queer theory as a legitimate field in academia, but she also was a very prominent activist for LGBTQ rights during the AIDS/HIV epidemic and up until her death. She also edited the collection Gary In Your Pocket, which collects the work of Gary Fisher, a writer, poet, and friend of hers who died of AIDS in 1994 before being able to publish any of his work. It’s been a few years, but I do remember reading some of her work (including Epistemology of the Closet, of course). I don’t think I’ve ever come across Gary In Your Pocket though – I’ll add it to my to read list!